Pretty cool. That guy’s a nut though, lol. I’m trying to decide if having a full machine shop is a good way to get 7M YouTube subscribers or if having 7M subscribers helps you build a full machine shop. It will be in my hands in 45 mins…Ultimate editon with the statue, map, art book, steel case, gold coins… the works baby oh yeah!!! ** BTW a few coiuntries released the game a week early and tons of people have been playing it, streaming it spoiling it…the works… UGH. Well this has to be one of the coolest Xbox One special editions… currently winnable through Twitter contest. Yeah, it’s pretty awesome. I retweeted to enter the contest, even though I never bother with that sort of thing. I don’t know if it’s something about being a middle aged man, but I find I’m really in love with wooden things. It just seems so warm compared to plastic. I’d even consider just flat out buying that Controller and I don’t even have the game. The Japanese voice acting in many Japanese games is often terrible, in my opinion, with Souls series and Yakuza titles being one of the few games known for using quality voice acting/actors. I must say that after watching Chris Odd’s playthrough with the Japanese voices on, the voice acting in Sekiro is magnificent. Even some minor NPCs have some of the best lines and voice pitches/tones that I’ve heard in a while. @FallofSeraphs76 have you played it already?? Yes i played it and you have to change it to english as Japanese is default. I figued the japanese version would sound best but I changed to english. The english is OK… I can tell it wasnt written to be english out the gate. Its not horrible but it does have a certain… mono tone flow i guess. the game is great as I have only made it to the hub where the sculptor is. ABout to get on it now for the rest of the night now that IM off work. BUt the collectors box is the most impressive part IMO…the statue, map, coins, book, everything…its super high quality! ANd for 89$ its a steal! **Holy cow that SPecial XBox looks sick!!! OMG! 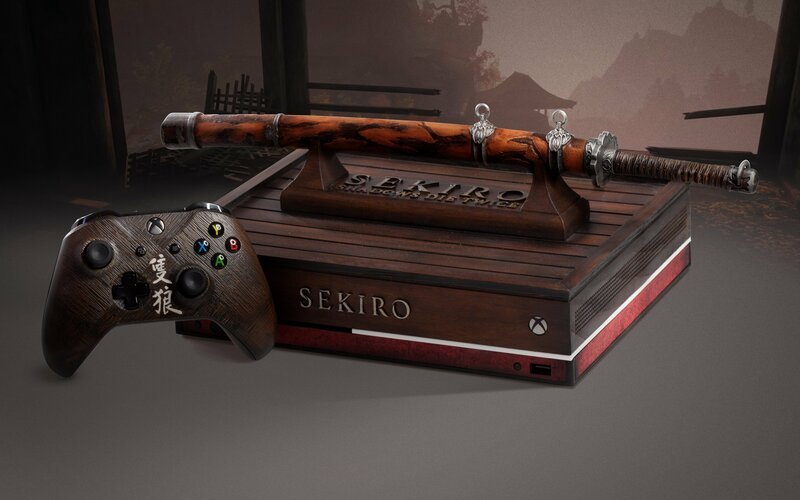 Streaming Sekiro tonight… come by and catch a glimpse for a minute if you can! Its very cloudy too…as far as how to play and what the items do. THe game teaches you afer you need them and its still very unclear…especially the Death , ressurevtion mechanic. IM about to get back on now. You mean where IM yelling…BULL ■■■■!!! lol… ahhhhhh!!! YEah mic is too loud…I have it set at 50 on twitch, but ig uess it needs to go down to about 25? what you think? IM about to strat up live right now…wathcing the Motley Crue movie on netflix…THe Dirt…its insane! @R1stormrider dude you have to see the Motley crue movie!! You got bombed out if nowhere lol that ■■■■ had me laughing game’s hard!! !